Early Series 1 4.2 E-Type Block ? #1 Early Series 1 4.2 E-Type Block ? 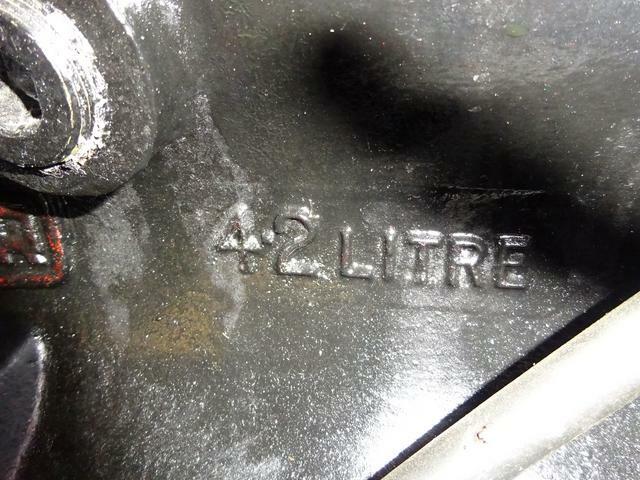 Following the recent post on Series 1 4.2 E Type heads and the earlier four and later five digit block numbers, I thought I would check the numbers on my E Type engines I have here. 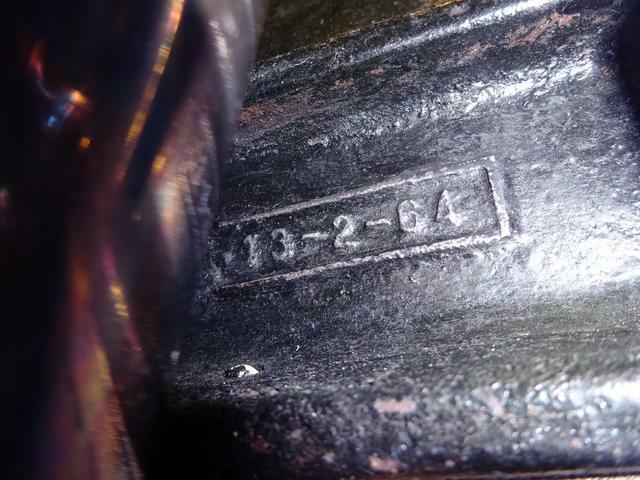 One I know is a replacement block in a later car which has a low four digit 7E number, but I have a query on why the casting date on the block, which is 13-2-64, whereas I understood the 4.2 litre engine wasn’t offered as a fitment to the E Type until October 1964. Just wondered why such a 4.2 litre block cast in February 1964 would be designated as an E Type engine with the 7E prefix which was only available from October 1964 ? 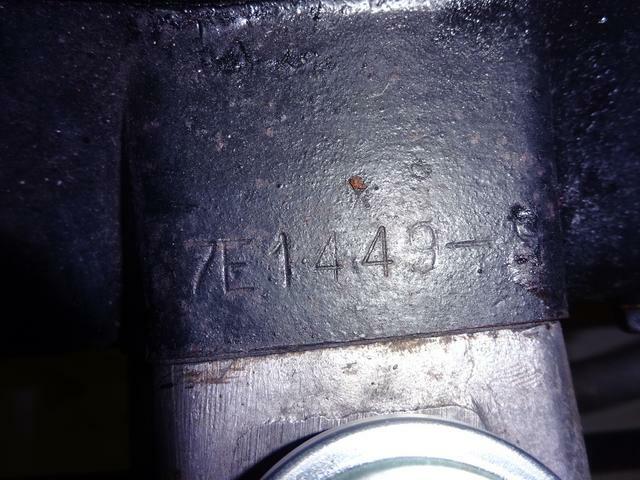 Is it possible Jaguar started to cast the 4.2 blocks in early 1964 and left them to “age” before machining and using them at a later date, when they would be allocated to a specific Jaguar model and at that point they would then be stamped with the prefixed engine number ? Photos of the block below. #2 Re: Early Series 1 4.2 E-Type Block ? That is indeed odd as, according to Porter, the first 4.2 E-Type appeared on the 'Experimental' list on 20 August 1964 as car 861705 a BRG FHC registered ARW 732B which Norman tested extensively. However we do know Jaguar left cast blocks outside for many months to allow stress relief so it could be Jaguar had the new block design sent to the foundry early in the year. #3 Re: Early Series 1 4.2 E-Type Block ? The block may have been cast then but they left them outside to de-stress for 6 months of so before machining them and using them. #4 Re: Early Series 1 4.2 E-Type Block ? As we thought, the blocks were cast and then left to de-stress for several months before machining. Still, if this is a 4.2 litre E Type block at number 7E1449, presumably the 449th 4.2 litre E Type engine, perhaps I have a claim on one of the earliest cast 4.2 E Type engines from the first 450 4.2 litre E Types ! It would be interesting for people to check their own block casting date - easily done if they can see it behind the rear exhaust manifold and down near the sump area, just in front of the oil dipstick - to see how this date compares to their own car’s production date. Hopefully it will be a date before production and not a significantly later casting date. I know quite a few E Types which have had later date replacement blocks fitted following the original block cracking and even blocks which are in good operational use, once I have removed the inlet manifold I found evidence of block being stitched and welded along the block surface under the inlet manifold, particularly by the front cylinders. This welding is not visible with the inlet manifold fitted. Often the original cylinder head is re-used so the initial inspection just shows the engine number stamped on the head. #5 Re: Early Series 1 4.2 E-Type Block ? I know AltyIan a friend of mine on here has 4.2 number 12 with its original engine. It would be interesting to see what casting date he has on his.